Find out below what our parents say about our school. My husband and I moved to the area in 2011 for work reasons. We had not yet found a house to buy, so the most important thing to us was that school should be a constant in our children’s lives. An old friend had been to Akeley Wood Senior School and he could not say enough good things, and the fact that you could stay at Akeley through the entirety of your education was very attractive to us. We felt that the three different school sites for different year groups would prevent the children from stagnating in one place. We went to visit the junior school and fell in love with it immediately – the sweeping driveway through fields on either side to a beautiful building that was once an 18th century country house. The playing fields overlooked countryside, and not a car in sight. Inside the school it had a relaxed and friendly feel. The head teacher’s office was in view as soon as you came into the reception, and the door was glass so nothing was hidden. This defined the school for me immediately. The head was very welcoming and easy to talk to, the children were polite and courteous, and they came across as relaxed and happy. It was just what we were looking for so we looked no further. The curriculum was wide enough, the classes small enough and sports and fitness were very important. Pastoral care was one of my top priorities and it was for Akeley Wood too. Outdoor learning is high on the agenda and the junior school has a Forest School in the woods where the lessons are child-led and informal. The children get fresh air and learn about the nature around them. There is a wooded shelter so lessons continue rain or shine. Very recently the school bought chickens and rabbits, money raised through Friends of Akeley Wood School, our PTA equivalent. The children can collect the chickens’ eggs and stroke the bunnies, which they have named themselves. Archie (now in year 7) began Akeley in year 1, and Oli (year 3) joined in Reception. Each day they come home with a smile on their faces and say they’ve had a good day. They have made some great friends and enjoy the sports side of the school, led by a very hard working and enthusiastic staff team. Numerous rugby, hockey, football, netball and cricket matches are arranged, and pupils have the chance to be involved in swimming galas and athletic competitions. The school has high expectations and Archie worked hard at the junior school, but he was struggling with English a little. He was offered some extra coaching and reassurance (along with others in his year), and this certainly helped. Homework is extremely important, beginning in year 1 and ramping up as the pupils get older. There is a lot of homework but I think it prepares them for later demands, and holds them in good stead for what is to come. At least Archie was not too shocked at what was expected of him going into year 7. The teachers know your child inside and out, and they know their good and bad points. Any issues get picked up quickly and can be addressed. The teachers are very approachable and are happy to talk to you and go over any issues you may have, even if it is a quick word in the playground as you are picking up. I was very impressed with the new style of school report which records their emotional as well as academic development, looking at their behaviour, how they conduct themselves and so on. I love Akeley Wood, and wish I could have gone to a school like this myself. Whenever anybody asks me where Archie and Oli go to school I tell them proudly and explain enthusiastically why it’s just perfect for my children. It’s a private school without being exclusive and is not in the slightest bit ‘hoity toity’. It is a friendly and comfortable environment and the parents are all singing from the same hymn sheet – we are ordinary, everyday people working hard to give our children the best start in life. Mr Lemon, head of the sports department, noticed that Oli was looking very stiff when he was running. He suggested that we looked into this further which we did by seeing a podiatrist. Oli has stretches he must do and Mr Lemon and his team have been very supportive and helped Oli to do these within his games and PE lessons. 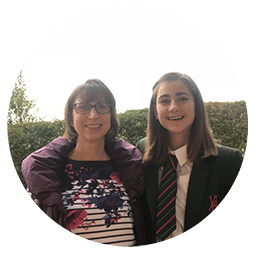 “We chose Akeley Wood for Christian’s secondary education after visiting a number of local schools, primarily for its nurturing environment and excellent pastoral care. Previously he was at a very small primary school, and we were concerned that going into a large secondary school would be too daunting. We also wanted him to be seen as a name and not a number. Right from the start we liked the look and feel of the school. The staff were so obviously passionate about what they do, and as parents we were made to feel very welcome. At the open days Christian was shown round by student ambassadors of a similar age to him. They were really enthusiastic and keen to share what they enjoyed and why, and this came across in bucketfuls. The school arranged assessment and induction days which really helped with settling in. Christian was already familiar with the place and the people when he started, and his form tutor is fabulous. Students have come into year 7 from many other schools, and the class has gelled so well. He has already made some lovely friends, and the school often refers to ‘the Akeley family’. I think this sums it up very well – they really do know your child. Our son’s happiness at school is our number one consideration, but we’re also extremely pleased with his academic progress. He has a real hunger for science and maths in particular, and his teacher has picked that up. Christian is very engaged in his lessons, and is encouraged to help other students too. It’s an active, collaborative approach that builds confidence, and we see it throughout the school. He has also been introduced to new subjects and experiences, such as design technology and outdoor learning. Among his recent accomplishments are learning archery and making ropes out of stinging nettles! There’s an impressive enrichment programme at Akeley that Christian has thrown himself into. He has only just started playing rugby but he’s already playing for the ‘B’ team, and as a keen skiier he has his sights on the school race team. “When we moved to this area we were looking for a suitable nursery for our daughter, and Akeley Wood ticked all the boxes compared to the other options available. From our first visit there was a warm, welcoming and friendly feel (without being overdone), with a great sense of space. The staff were easy to approach and happy to show us all around the school, and we were impressed by their attentiveness to the children. They seemed very aware of each child’s individual needs, and they were confident talking about the school and what it offered. Gracie has grown and developed during her time at the school, as you would expect! After spending three years in the nursery, she is now in the Reception class and (based on the first few months) this development really seems to be accelerating. She sees her Reception class as ‘big school’ and she has responded very positively to the extra structure and the focus on reading, writing and numbers. As an only child, the group environment and the friendships Gracie is developing are lovely to see. She has always been quite quiet, and the school is helping her to be more expressive and assertive in an open environment. We believe that the broad range of activities and subjects on the curriculum will continue helping Gracie to develop and thrive. 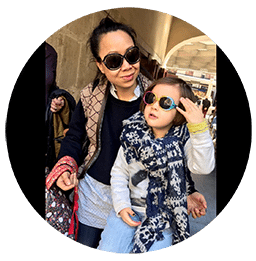 She has the chance to try out lots of different activities to see where her skills and talents may lie – although it’s a bit early to say as she’s only four! “Katie started at Akeley Wood in year 4, after finding her previous target-driven primary school did not suit her. She was painfully shy and wouldn’t even answer the register, so we were looking for a school that was more focused on the whole child. Above everything, we wanted Katie to be happy at school because happy children learn. Akeley Wood balances high expectations for students with a nurturing, motivating environment and so many lovely opportunities beyond academic lessons – the children are stretched and challenged, but they are also praised and encouraged. Class sizes are small so the teachers really do know everyone, and everyone matters. We knew we’d made the right decision within a week. The change in Katie was so noticeable that we felt they were giving us back a different child. Katie works hard and plays hard. She has turned out to be very sporty, which we’d never have predicted a few years ago. She has represented the school in hockey and netball, and was chosen to be mentored for six months by the England netball player Pamela Cookey (see picture above). This was a wonderful experience for Katie and recently she won the school’s ‘Sports personality of the year’ award – a big achievement for someone who used to be so shy. The teamwork has been just as important as sporting success, and now she’s happy to hold her own in a big group, or go on school trips abroad. Academically, Katie is encouraged to try her best and exceed her potential. She’s chosen her options for GCSE now, and is loving her classes even though she’s not necessarily with her friends. She has chosen subjects because she’s interested in them, rather than who might be doing them too. All the staff are amazing, not just the teachers. We really want to get that across! For instance, Katie is a fussy eater but the lunchtime staff are so kind and thoughtful in their approach that she’s much more prepared to try new foods. At the end of year 8, Katie was head girl of Tile House during the summer term. She had to stand up and give a speech to all the year 7 children who were joining, and their parents. She did it despite feeling very nervous and having some misgivings, and it was a massive achievement for her. “We chose Akeley Wood because of their excellent special needs provision. Alfie has dyspraxia and dyslexia – at his first school, no-one understood him and he just hid under the table. 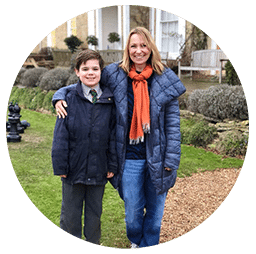 He was on the waiting list for Akeley Wood and was able to join just after Christmas in year 1, and immediately things were so much better. Above all, the school gave him time. The teacher used to write a list for Alfie in different colours, showing where he needed to be and when, and the order that things would happen. If anything changed, they’d give him five minutes to adjust to it, as sequences are very important to him and he needed to learn coping mechanisms. They integrated rather than alienated him, and allowed him to develop in his own time. His confidence soared. Now Alfie is in year 6 and he doesn’t need this level of support any more. It took a while, but he’s confident enough to go to the classroom by himself and get on with his day. Alfie was also involved in something called the ‘Step 2 progress trial’, which I believe is being rolled out more widely now. 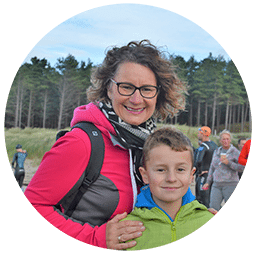 Each morning he did physical and mental exercises together to help with things like coordination and organisational skills, and the difference has been remarkable. Also, his reading age has progressed three years in just one year, which I think this is a direct result of this programme. Alfie will be going on to the senior school next September. I wouldn’t consider sending him anywhere else because of the opportunities he’ll get, and even though the school is on a different site I’m absolutely sure it will be a smooth transition. His teachers have already been in touch with year 7 staff to plan support for him, and this term he took part in ‘Akeley’s Got Talent’ at the senior school, which helps to bridge the gap between the two. He performed a monologue and was the winner of his year group. 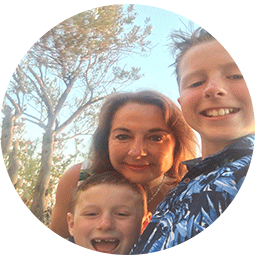 Considering he couldn’t speak until he was five, it’s amazing that he did this aged ten – in fact, he likes drama so much that he goes to the Derngate youth theatre in Northampton on Saturdays. Rugby is another of Alfie’s enthusiasms and again, I’m so pleased with how the school has brought him on. He was a very late walker, and when he was younger I never imagined he would be able to catch a ball, let alone play in the A team. They’ve just got through to the finals of the national prep schools competition, which will be held in March next year. Alfie also plays for Towcester, and the school always encourages and celebrates their outside achievements. For instance, children can bring in certificates to show the class and talk to their friends about what they’ve been doing.